I was lucky enough to be asked by Andrew Kendall of Encore’s World of Film and TV, as I was last year, to be part of his annual Motifs in Cinema blog-a-thon. 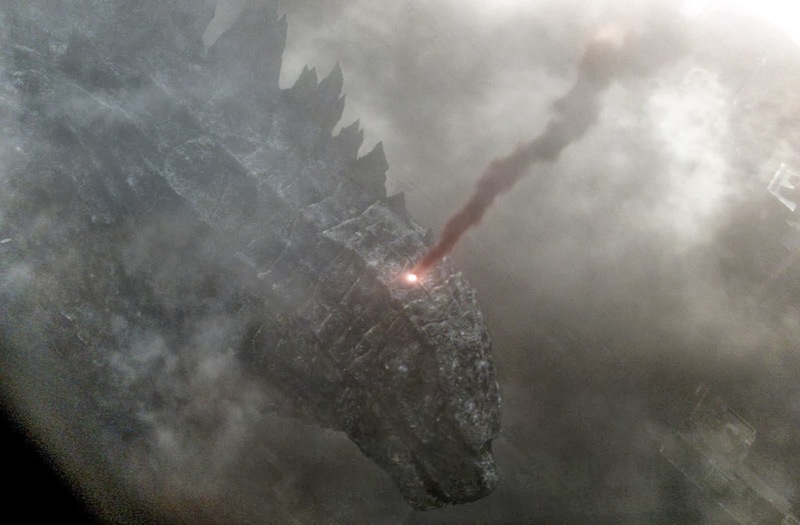 Eager to delve into the cinema of 2013 – a year I enjoyed immensely – I agreed to take part. The motif I selected was ‘Man versus Society’. 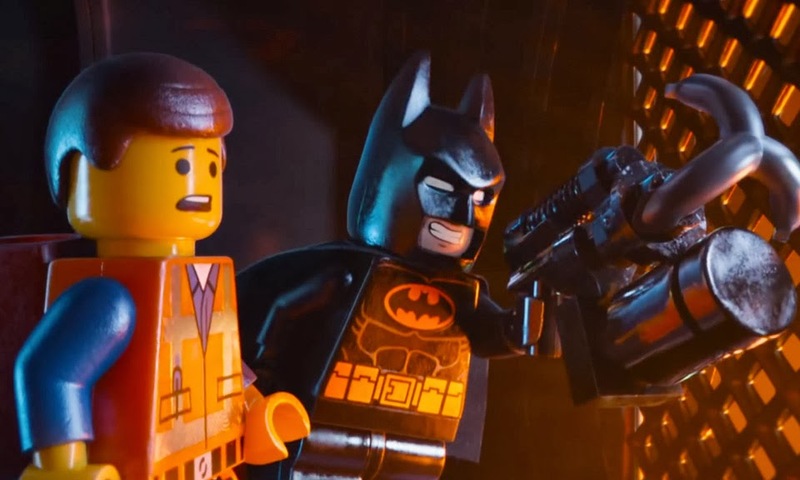 Here is Andrew’s explanation of the blog-a-thon: Motifs in Cinema is a discourse across film blogs, assessing the way in which various thematic elements have been used in the 2013 cinematic landscape. How does a common theme vary in use from a comedy to a drama? Are filmmakers working from a similar canvas when they assess the issue of death or the dynamics of revenge? Like most things, a film begins with an idea – Motifs in Cinema assesses how various themes emanating from a single idea change when utilized by varying artists. In a number of films released across the globe in 2013, one of the central conflicts was that of man (and woman) in conflict (repressed, prejudiced or outcast) against society at large. In several of the examples I will offer the society in question is insular and isolated, sent into turmoil following the repercussions of an event, while others are ideologically, culturally and politically tied to the country of setting. In Danish writer/director Thomas Vinterberg's haunting drama, The Hunt, Mads Mikkelsen (awarded Best Actor at the Cannes Film Festival), stars as Lucas, a popular small town Kindergarten teacher. When Klara (Annika Wedderkopp), the young daughter of his best friend Theo (Thomas Bo Larsen), tells a story detailing inappropriate sexual contact from Lucas, it’s severity quickly escalates. The adults, informed of the claims by the school's principal despite there yet being no proof beyond Klara's account, are blinded by rage and disgust, turn against Lucas and begin a campaign to ensure that justice is served, targeting not only his professional career and personal reputation, but also his family. Lucas is wrongfully accused, there’s no doubt about it, but when more stories of abuse surface - the result of insular paranoia and guardian-coerced testimony - the mounting lies spiral out of control to the point where the life of this innocent man faces ruin. He shelters from the tide of hatred, enclosed within his own home. But even that comes under threat. The courage he shows just stepping into the local mall or confronting his accusers in church, is extraordinary. This tense study of an insular community unnervingly embroiled in hysteria and turmoil is maddening to watch as blind social allegiance acting on unreasonable instinct demonizes a once-valued citizen. In Paul Wright’s brilliant debut feature, For Those In Peril, Aaron (George MacKay), a young misfit living in a remote Scottish fishing community, is the lone survivor of a mysterious fishing accident that claimed the lives of five men including his older brother, Michael. With ocean folklore a powerful (and misguided) influence the village holds Aaron responsible for the tragedy, and he immediately finds himself an outcast. Struggling with his own demons, unable to remember what happened out on the water, he refuses to believe that his brother has died and holds misguided hope in his return. Though he briefly finds comfort in spending time with his brother’s former girlfriend, his worsening anxieties eventually bring him in confrontation with his darkest fears. Aaron is at the centre of For Those in Peril from the beginning, and while the film is set up to be about a young man dealing with grief and guilt, and coming to the demoralizing realization that by being alive draws malevolence from others, it then becomes something very different. We come to understand just how essential Aaron’s perception is as the story seamlessly shifts into his headspace. Wright utilises various visual formats and discordant audio soundbites, challenging his audience to draw their own conclusions from his unconventional techniques. We are offered fragments of the past from various perspectives and the present from a very unreliable narrator. 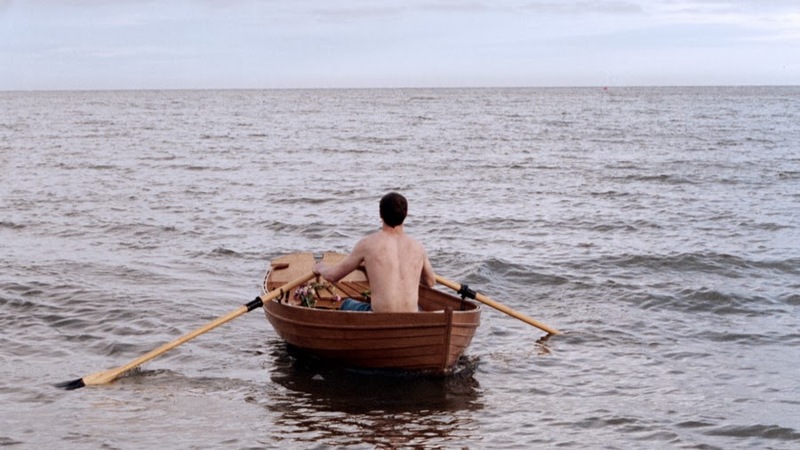 Aaron’s confusion, frustration, and unwavering sense of hope is certainly understandable considering his ordeal, yet no one in the town seems to accept that he belonged on the boat in the first place nor deserved to return. Why is that? He escaped a meeting with a monster but will never rest until he confronts it and re-earns the respect of the society he once called home. 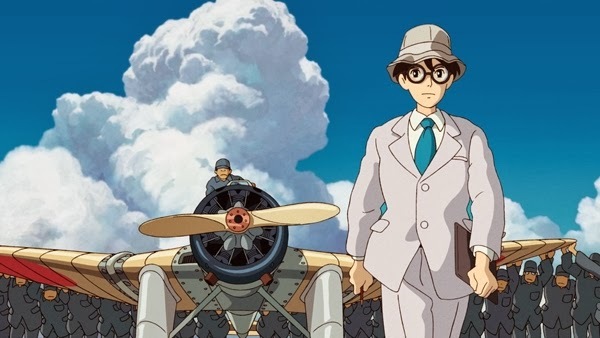 Legendary Japanese animation director Hayao Miyazaki announced that The Wind Rises would be his final film prior to a timely retirement from filmmaking. Miyazaki adapted The Wind Rises from his own manga of the same name, which was loosely based on the short story ‘The Wind Has Risen’ by Tatsuo Hori. The Wind Rises is a fictionalized biography of aerial engineer Jiro Horikoshi, designer of the Mitsubishi A6M Zero, used by the Japanese during World War II. The creator of animated classics like My Neighbor Totoro (1988) and Princess Mononoke (1997), Miayazaki has also been a controversial voice in Japanese media with his strong anti-war/establishment views. The changing political and cultural landscape in Japan, post-Great Kanto Earthquake and pre-World War II provides a rich foundation for Miyazaki to explore Hiro’s aeronautical dreams and engineering feats. I adore Miyazaki’s love for invention and his obsession with how machines function, the details of which have always been carefully included in his films. The motion of flight (Castle in the Sky, Porco Rosso) and the image of machines in action (Spirited Away, Howl’s Moving Castle) has always been an incredibly beautiful element of his animation and are at the heart of this tale. The Wind Rises is a distinctly personal film, a strikingly animated tale of love, inspiration and artistic commitment. Continue reading ay Graffiti With Punctuation. 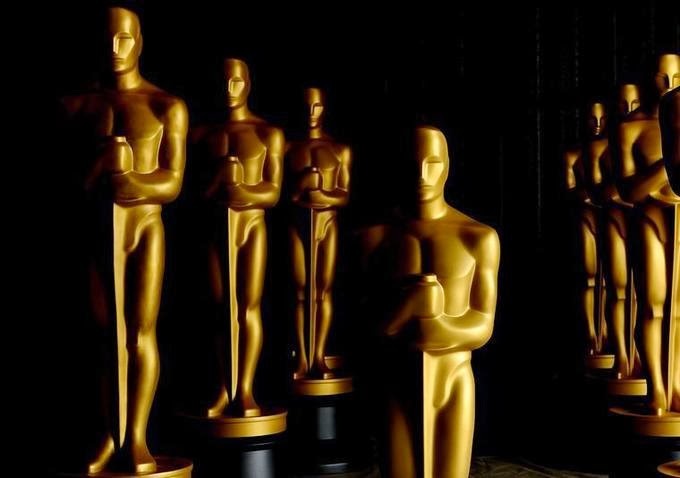 I look at the rest of the nominees at this year’s Academy Awards – Best Picture and Best Director, and the Acting and Screenplay categories – and credit who I think will win (and who should!). American Hustle, for many prognosticators, became the Best Picture favourite after it won Best Ensemble Cast at the SAG Awards. I genuinely feel like Hustle deserved this award, but the snub for 12 Years A Slave at that point was a telling one. At the Golden Globes 12 Years A Slave came from nowhere (literally winning nothing else) to nab Best Picture (Drama). It also won the BAFTA for Best Film (curiously winning just one other award – Best Actor). Gravity is going to win more Oscars than 12 Years A Slave, and I’m convinced that Gravity has a lot of support. The tie at the Producer’s Guild of America (between 12 Years and Gravity) is proof of this. I have been backing Gravity from the beginning – none of this Best Pic/Director split business – and have stuck with it ever since I first watched (and was disappointed by) 12 Years A Slave. From the rest of the group Hustle (with ten nominations) has a genuine chance. 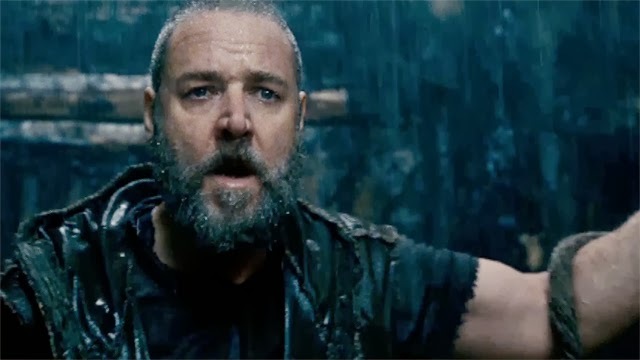 AMPAS have loved Russell’s previous three films (but he should have won last year with the vastly superior Silver Linings Playbook). 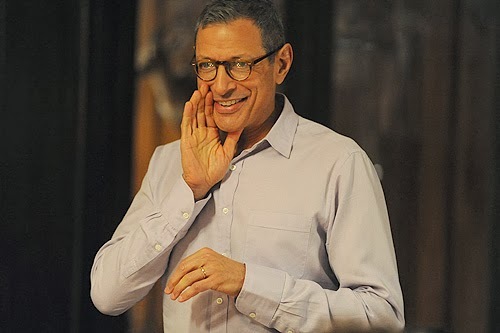 Nebraska (six, including Best Director/Actor/Original Screenplay), The Wolf of Wall Street (five, including Best Director/Actor/Adapted Screenplay) and Captain Phillips (a genuine chance for Best Supporting Actor, Adapted Screenplay and Editing) are not without a show. Personally, I rank all three ahead of both 12 Years A Slave and American Hustle. But this has come down to 12 Years A Slave and Gravity. Whether the AMPAS honours a film that tackles the harrowing truths about America’s past, or a film that has expertly utilized the best of present technology, and laid a platform for future achievements, remains to be seen. 90% of Oscar prognosticators are going with 12 Years A Slave. No cinematic experience came close to Gravity in 2013. I hope voters saw the film in the theatre and not their televisions (or heaven forbid, their laptops). Directed by Ron Howard this engrossing multi-faceted documentary chronicles the 2012 debut of the Philadelphia-set “Made in America” music festival, organized and headlined by Grammy-winning hip-hop artist JAY Z (Shawn Carter). Given very little prep time before immersing himself in the energy of the musically and cultural diverse event, Howard proves his chops as a documentarian. He gives us an enlightening and entertaining backstage pass, interviewing not only the assembled roster of talented musicians but also the everyday Americans employed to cater and run the event. Through JAY Z’s personal connection to the city, we are taken around Philadelphia, and shown the sites of importance in the establishment of his towering career. 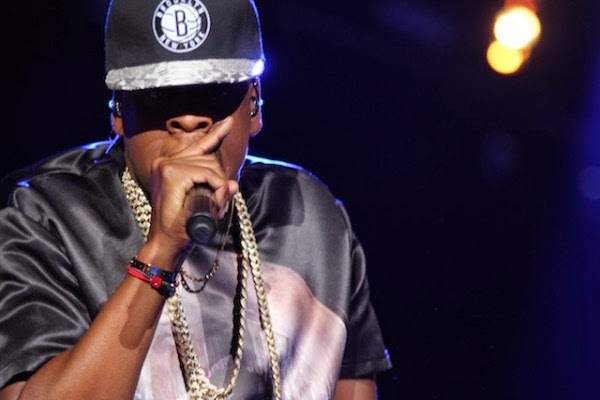 Jay Z: Made in America premiered at last year’s Toronto International Film Festival, before screening on Showtime. It is coming to Australia for a Special Event Season through Transmission Films from March 20. There is an extraordinary range of artists admirably assembled by JAY Z for this concert – from veteran acts like Run-DMC and Pearl Jam, to alt-rock groups Passion Pit and Dirty Projectors, to hip-hop sensations Janelle Monae, Santigold and Rita Ora, to acquired tastes like Odd Future to Skrillex – who each attracted their unique audiences, but no doubt gathered some new fans. JAY Z expresses the belief that “every human being has genius-level talent” and it is up to the individual to tap into that potential and find out what they are best at. He believes that there are many avenues to success, it just takes dedication and commitment and the courage to bounce back from failure and rejection even stronger than ever. He is living proof of having fulfilled the ‘American Dream’, as are many of the other artists we meet. Carter has become a role model - a one-time street thug who turned it all around and dedicated all of his time and energy to making music. A lot of young people in Philadelphia (as an example) look up to him. He was one of the pioneers of his generation; and he has witnessed a new generation (guys like Skrillex) change the music landscape again. Janelle Monae humbly talks about her parents, hardworking blue-collar workers. She talks about her performance uniform of black and white, and where that idea stemmed from. Swedish group The Hives discuss what influenced their music in Sweden, and Andrew Wyatt of Miike Snow is very open about the psychological problems that plagued his early career, and how he remained driven to make music. Joseph Simmons and Daryl McDaniels of Run-DMC and Eddie Vedder of Pearl Jam offered more veteran insight, a generation older than most of the other artists interviewed. McCaniels was especially vocal about the artists that inspired him, and the lyrics that taught youngsters about the very streets they lived on. They hilariously recap the process of making one of their music videos, which involved Steven Tyler of Aerosmith. Howard visits Simmons in more personal surroundings, eliminating the musician persona and capturing him simply as a man living his life. Having not performed together for over a decade it is a special moment when Simmons and McDaniels take the stage together. Howard doesn't just interview the talent, but a stagehand, a group of security guards working the show, and one of the venue caterers. These personable, hardworking regular people discuss their professions and their contentedness with their lives, thankful for the job they have and its challenges and opportunities. It adds a terrific dynamic to the film. My only negative comment about the film was that I craved more concert footage. It could have been a great concert film on it’s own - the photographed footage was exceptional - but admirably JAY Z and Howard made the effort to make it more than just a concert film, but an investigation into how these artists made their dreams come true, and how others have worked hard to make it in America in their own way. But still, some of the performances were too entertaining to leave. Gary Clark Jr. was crushing 'When the Train Pulls In' , but Howard disappointingly took us backstage mid-show. More of Clark, Pearl Jam and the great Janelle Monae and less of, say, Odd Future, would have resulted in a slam-dunk. JAY Z is evidently a man of charisma, imposing stage presence and strong business sense, with an inspiringly optimistic view of the people of America. His journey to success is woven into Made In America, and it is a story worth learning about. It is an emotional moment to see him met with rousing applause as he makes his closing address on the second night. Pal Kanye West joins him on stage and seeing these two monsters of hip-hop performing together is an awe-inspiring sight to leave on. In cinemas this week: The Wind Rises, Non-Stop, 3 Days to Kill, Out of the Furnace, Gloria, Utopia and Mysteries of the Unseen World. Global action star Liam Neeson stars in Non-Stop, a suspense thriller played out at 40,000 feet in the air. During a transatlantic flight from New York City to London, U.S. Air Marshal Bill Marks (Neeson) receives a series of cryptic text messages demanding that he instruct the government to transfer $150 million into an off-shore account. Until he secures the money, a passenger on his flight will be killed every 20 minutes. 3 Days to Kill - In this action-thriller, Kevin Costner is a dangerous international spy, who is determined to give up his high stakes life to finally build a closer relationship with his estranged wife and daughter, whom he's previously kept at arm's length to keep out of danger. But first, he must complete one last mission- even if it means juggling the two toughest assignments yet: hunting down the world's most ruthless terrorist and looking after his teenage daughter for the first time in ten years, while his wife is out of town. Out of the Furnace - From Scott Cooper, the critically-acclaimed writer and director of Crazy Heart, comes a gripping and gritty drama about family, fate, circumstance, and justice. Russell Baze (Christian Bale) has a rough life: he works a dead-end blue collar job at the local steel mill by day, and cares for his terminally ill father by night. When Russell's brother Rodney (Casey Affleck) returns home from serving time in Iraq, he gets lured into one of the most ruthless crime rings in the Northeast and mysteriously disappears. The police fail to crack the case, so - with nothing left to lose - Russell takes matters into his own hands, putting his life on the line to seek justice for his brother. The impressive cast of Christian Bale and Woody Harrelson are rounded out by Casey Affleck, Forest Whitaker, Willem Dafoe, Zoe Saldana and Sam Shepard. Utopia - Utopia is John Pilger's new feature documentary. The BAFTA and Emmy winning film-maker and journalist draws on his long association with the first people of his homeland, Australia. Utopia is both an epic portrayal of the oldest continuous human culture and an investigation into a suppressed colonial past and rapacious present. One of the world's best kept secrets is revealed against a background of the greatest boom in mineral wealth. Has the 'lucky country' inherited South African apartheid? Utopia is both a personal journey and a universal story of power and resistance in the media age driven by old imperatives and presented as liberalism. Weekly Recommendation: Mightily behind this week. I haven't seen either of the action films, nor the largely-ignored Out of the Furnace. I have seen no promotional material at all. The Wind Rises comes with the top recommendation, though it is certainly not as accessible as Miyazaki's previous films. Mysteries of the Unseen World is fascinating, and is a top IMAX experience. I had high hopes for Gloria, but as much as I admired it, I didn't really connect. Leading the 2013 Academy Award nominees were those for Best Picture: Gravity (10), American Hustle (10), 12 Years A Slave (9), Nebraska (6), Captain Phillips (6), Dallas Buyers Club (6), Her (5), The Wolf of Wall Street (5) and Philomena (4). In Part 1 I run through the categories of Best Animated Feature, Best Foreign Language Film, Best Documentary and the Technical categories, offering calculated consideration about the chances of each nominee and predicting the winner on March 3 (in Australia). Part 2 (coming soon!) will include Best Picture, Best Director and all of the Acting and Screenplay categories. Three of the highest grossing films in the world in 2013 are in this category here. The Croods cracked the Top 10 in the Australian Box Office, but falls well short of the other two juggernauts in Frozen and Despicable Me 2. Ernest & Celestine is simply too small a film to be a chance, though I understand it is quite lovely, while The Wind Rises hasn’t been as strongly received as Miyazaki’s previous films. If The Wind Rises was anywhere near as good as Spirited Away or My Neighbour Totoro then I thought this would be a shoo-in after a pretty weak year for Pixar and Dreamworks. While stunningly animated the two-pronged narrative doesn’t gel as well as you’d hope, but as a farewell to filmmaking it is still a satisfying one. 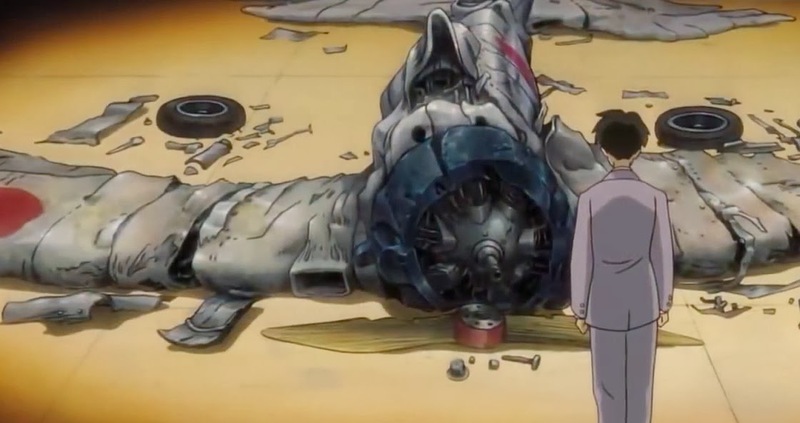 Miyazaki’s love for invention and machines, and his anti-war/establishment sensibilities are at the very heart. Disney put together one of their best in recent years while Pierre Coffin and Chris Renaud have benefited from the enormous success of Despicable Me and made a film equally entertaining. I didn’t much care for Despicable Me when I saw it in cinemas in 2009, but after thoroughly enjoying the sequel (I watched it alone in the presence of less than ten others in a public screening) I immediately revisited it. Turns out it is actually very good. I can’t predict this category with any authority, but Frozen has understandably been the hit of the summer, and looks to have the most supporters. I guess one of the big factors to consider in this category is how much exposure these films have had in the US. I understand that The Great Beauty and The Missing Picure are currently in cinemas. The Hunt, which has been on the circuit since Cannes in 2012, had a very limited release mid 2013. The BO reports show that it made little money. Actually, I think it made more here in Australia. The Great Beauty has much fresher legs, but despite having received mixed reviews from Cannes, has gone on to win at the European Film Awards, the Golden Globes and the BAFTAS. If there was a clear favourite it is Sorrentino’s film. The Broken Circle Breakdown, after causing a sensation at Berlin in early 2013, has had perhaps the widest release of all the films in contention. I know a lot of people loved that film, too. I can’t back it, though. As we have passed through the 'Oscar Season', we enter the beginnings of the 'Blockbuster Season', which seems to start earlier every year. Here is a look ahead to March, April and May and some of the films I am anticipating, and what you should be looking out for. From this group my most-anticipated are: The Missing Picture, Noah, The Raid 2, The Lego Movie, The Grand Budapest Hotel, Like Father, Like Son, Only Lovers Left Alive and Godzilla. What are yours? 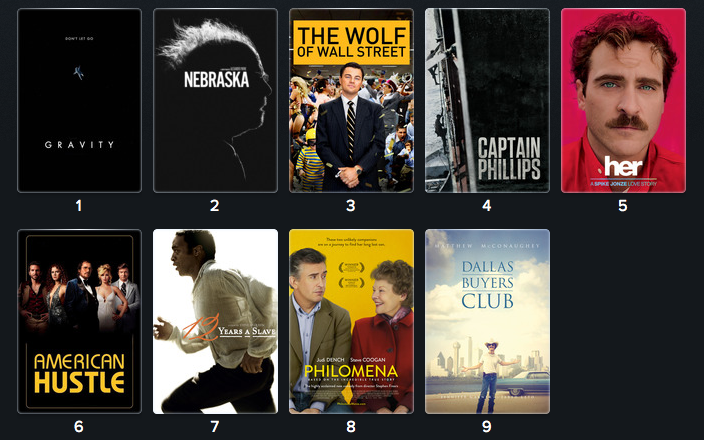 In cinemas this week: Nebraska, Le Week-End, Lone Survivor, Wolf Creek 2 and The Legend of Hercules. Lone Survivor - Starring Mark Wahlberg, tells the story of four Navy SEALs on an ill-fated covert mission to neutralize a high-level Taliban operative who are ambushed by enemy forces in the Hindu Kush region of Afghanistan. Based on The New York Times bestseller, this story of heroism, courage and survival directed by Peter Berg (Friday Night Lights) also stars Taylor Kitsch, Emile Hirsch, Ben Foster and Eric Bana. Review by Cam Williams, Graffiti With Punctuation. Wolf Creek 2 - Outback serial killer Mick Taylor (John Jarratt) returns to torment another group of unsuspecting tourists in this sequel from original Wolf Creek director Greg McLean. The Legend of Hercules - In the epic origin story THE LEGEND OF HERCULES, Kellan Lutz stars as the mythical Greek hero - the son of Zeus, a half-god, half-man blessed with extraordinary strength. Betrayed by his stepfather, the King, and exiled and sold into slavery because of a forbidden love, Hercules must use his formidable powers to fight his way back to his rightful kingdom. Through harrowing battles and gladiator-arena death matches, Hercules embarks on a legendary odyssey to overthrow the King and restore peace to the land. Renny Harlin directs, which means avoid. 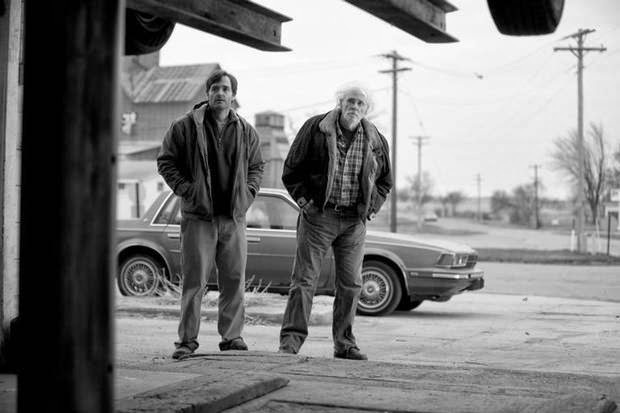 Weekly Recommendation: What can I say to get everyone to see Nebraska? Just see it, okay. Le Week-end is decent too. Both are coming to Dendy Newtown. I will endeavor to check out Lone Survivor too this week. RoboCop (Feb 6) - Directed by Jose Padilha (Bus 174, Elite Squad), this loose remake of RoboCop (Paul Verhoeven's 1987 film of the same name is regarded as a science fiction classic) has its merits. When Detective Alex Murphy (Joel Kinnaman) is critically injured in a car bomb ordered by a Detroit City crime boss, he becomes a candidate for the RoboCop Program, a supreme law enforcer who keeps his human intuition, but survives through a metallic exo-skeleton. Multinational conglomerate OmniCorp have drones stationed internationally for peacekeeping, but under the Dreyfus Act they have been inhibited from use in the United States. CEO Raymond Sellars (Michael Keaton) believes Murphy can be utilized on American soil. When it is learned that Murphy's abilities don't measure up to the efficiency of the mechanical bots, and he suffers a seizure during the upload of the the police database, Dr. Dennett Noron (Gary Oldman) tampers with his brain chemistry, eliminating his emotions and priming him for the streets. 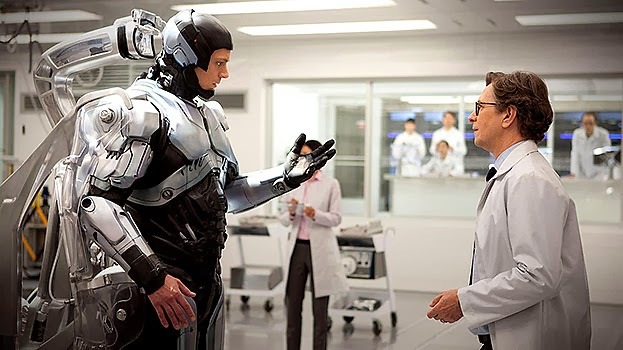 RoboCop possesses the thematic conflict: Is Murphy a humanized machine or mechanized human? We witness his shift from one to the other, and Padilha makes his dehumanization quite an emotional one, the reveal of his remaining motor functioning suitably shocking. Setting out to build a robot with human intuition Murphy soon becomes more of a robot with a human face. Emotions lacking by OmniCorp's robots - the act of contemplation, empathy, anxiety (a soul) - remain present within Murphy, until he is manipulated into the drone OmniCorp seeks to expand their capital. Murphy's natural instinct is to track down those who attempted to take his life; corrupt cops he knows will get away with it. While being stripped of his precious human qualities, he seeks to resurrect them, which makes him far more unpredictable than OmniCorp had hoped. Keaton, who always has an unpredictable on-screen energy, and Oldman provide effective support to the unknown, but charismatic enough Kinnaman. Oldman is especially resonant, forced to tweak Murphy into the emotionless law enforcer, but clearly feels guilt when he learns the repercussions. Abbie Cornish doesn't have a lot to do as Murphy's wife, but effectively conveys her understandable anger at being kept in the dark. Jennifer Ehle, Jay Baruchel, Michael K. Williams and Jackie Earl Haley round out a solid cast. My gripes came with Samuel L. Jackson's book-ending exposition, and the corrupt detectives in league with an arms dealer. Apart from Murphy and his partner (Williams), the only others we're introduced to turn out to be dirty. Thankfully, they only exist as a means for Murphy's revenge, before the real villain of the film becomes evident. Mandela: Long Walk to Freedom (Feb 6) - Justin Chadwick's (The Other Boleyn Girl, The First Grader) rousing biographical feature about the late anti-Apartheid revolutionary and South African President, Nelson Mandela, is based on Mandela's 1995 autobiography Long Walk to Freedom. 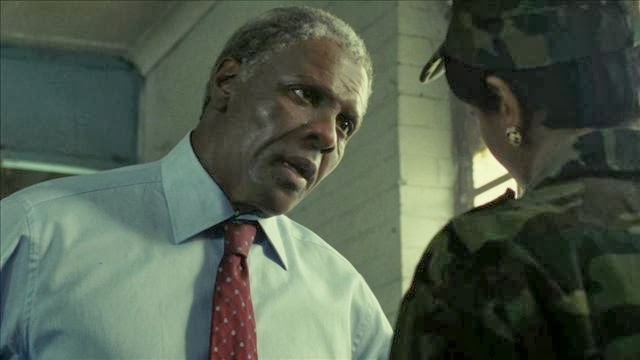 It comes to screen in the wake of Mandela's recent passing; a towering figure who was at the front line of enormous social change in South Africa and whose inspiring deeds are worthy of celebration. Idris Elba is the talented individual assigned with portraying Mandela and it is his performance that gives the film the resonating heft. In the film we cover most of Mandela's life - his early years as a practicing lawyer in Johannesburg in the 1950's, through his involvement with the African National Congress where he became a vocal leader of the resistance to white oppression against the African people of South Africa, his imprisonment, all the way until he is sworn in as South African President in 1994. The ANC's non-violent protests began to evolve into acts of sabotage, with Mandela and his other senior revolutionaries eventually imprisoned on Rodden Island. He would remain there for 27 years, intermittently seeing his wife Winnie (Naomie Harris). Outside, the increasingly bitter Winnie led the losing battle - with militancy and torture, even serving imprisonment herself. I found the film the most interesting after Mandela was released from prison a much wiser man. He encouraged his people to seek equality through peaceful resolutions; a quest for peace that proved successful yet ended his marriage. From the 27th February 2014, IMAX Darling Harbour will transport audiences to hidden dimensions in the release of MYSTERIES OF THE UNSEEN WORLD 3D, narrated by Forest Whitaker and from National Geographic Entertainment and Day End Pictures. Leveraging advancements in science, UNSEEN WORLD 3D explores a new universe of nature, events and breathtaking phenomena that cannot be seen with the naked eye. 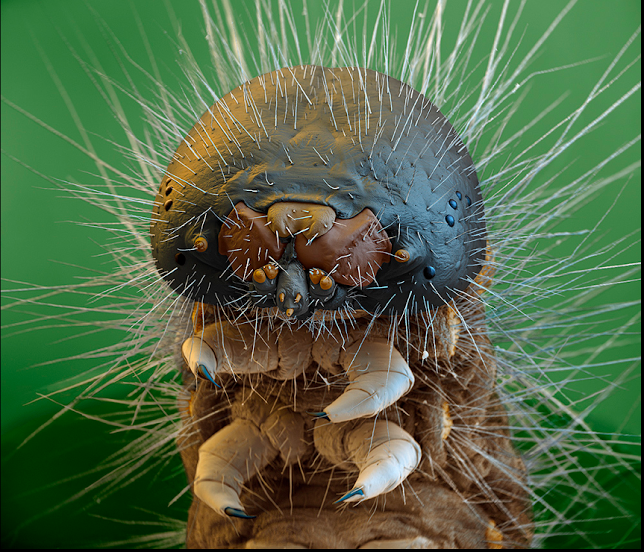 The film uncovers the mysteries of things that are too fast, too slow, too small or simply invisible with its innovative use of high-speed and time-lapse photography, electron microscopy and nanotechnology. Visually stunning and showcasing cutting-edge research, UNSEEN WORLD 3D will leave audiences enthralled as the wonders and possibilities of science are revealed, and the enormity of the world we cannot see is unveiled. Created by an award-winning film team including production by Jini Dürr (Sea Monsters: A Prehistoric Adventure) and Lisa Truitt (Mysteries of Egypt), and directed by Louis Schwartzberg (Disneynature: Wings of Life), UNSEEN WORLD 3D will peek into unseen dimensions previously reserved for scientists and explore the wonders of nature and the secrets crucial to our survival. Thanks to IMAX and Kabuku Public Relations I have five double passes to give away to a preview screening of MYSTERIES OF THE UNSEEN WORLD 3D on Saturday 22nd February at 11am. Email me your name, with 'Unseen World 3D' as the subject, before 11pm on Tuesday 18th February to enter the draw. Winners will be notified via return email and added to the door guest list. Directed by Roger Michell (Notting Hill, Enduring Love and Venus) and written by frequent screenwriting collaborator Hanif Kureishi, Le Week-End is a strange little film. Equally saddening and heartwarming, there is a resounding truthfulness and romanticism to this study of a veteran married British couple, Nick and Meg Burrows (Jim Broadbent and Lindsay Duncan). Celebrating their 30th wedding anniversary with a rare exotic escape in Paris they are amidst a disillusioning crisis that they seem aloof to resolving. Will this weekend heal their wounds, or be an opportunity to say goodbye? Lightly avoiding sentimentality and punishing misery I found this quite delightful. Both academics – Nick is a philosophy professor, Meg a biology teacher – are experiencing an unsettlement in their long-term contentedness. What soon becomes clear is that Nick is anxious about money, amongst several other ailments. He is harbouring a secret he fears to disclose to Meg and is wracked with the nerve-shredding sense that he and Meg have lost their spark altogether. He remains firmly committed to a woman he fears doesn’t love him anymore. Being the kind of man he is, there could be no one else. Does she feel the same way about him? Meg finds that her sexuality has awakened, just as Nick seems to have lost all hope. One of the most affecting moments is when Nick sits alone drinking through their mini bar stock listening to Nick Drake’s ‘Pink Moon’ on his headphones. The Solid State are running a campaign for The Smith Family called #TalesOfThe1in10 to raise awareness about disadvantaged Australian kids. They are releasing a series of animated films throughout the year based on true stories of kids that have come through the doors of The Smith Family. Tales of the 'One in Ten' is a new animated web series based on the real stories of Australian children from disadvantaged backgrounds who struggle daily with the effects of financial hardship. The series aims to raise awareness of disadvantage and its effects. The stories are drawn from the case studies provided by children's educational charity 'The Smith Family' who regularly come across challenging but inspiring stories of children overcoming adversity. 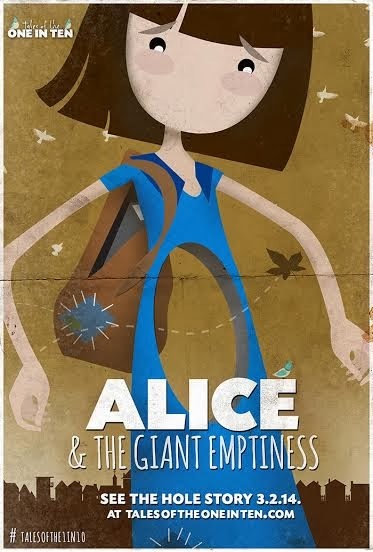 The series begins with Alice and the Giant Emptiness and will continue with further stories about other children and their experiences of disadvantage and how they overcome them. "Alice and the Giant Emptiness focuses on issues facing children from disadvantaged families. These problems are far-reaching and affect all areas of their lives including their social and educational development and their self-esteem. The film attempts to capture how disadvantage affects a child emotionally by using some of the storytelling tools often found in fairy tales. These traditional stories have enormous power and impact and connect so many of us of different ages and nationalities. Symbols like mirrors, dark clouds and holes are simple and immediate in conveying certain ideas and emotions. Children who are the victims of name-calling often describe how the words cause them physical pain. The film attempts to capture this with the black ‘word’ cloud that attacks Alice like the ‘Dementors’ in Harry Potter. The force of the attack leaves her with a giant hole which is symbolic of the self-esteem she now lacks." The Solid State is an award-winning creative agency from Sydney, Australia specialising in film and television campaigns. They work closely with filmmakers, distributors, sales agents and networks at all stages of film and television production – from pitching and presales, to sales at market as well as theatrical campaigns. Their work crosses a broad range of disciplines encompassing marketing strategy and positioning as well as the production of trailers, posters, websites and social media campaigns. Recent projects include Tim Winton’s The Turning, Redfern Now, Kill Me 3 Times and Warwick Thornton’s The Darkside. The Smith Family is a national charity helping young Australians in need to get the most out of their education, so they can create better futures for themselves. The Smith Family believes every child deserves a chance and that circumstances should never limit potential. With research showing education can transform lives, the charity’s Learning for Life program enables disadvantaged young people to get the opportunities they need to fully participate in their education and create better futures for themselves. You can view the film, buy the song featured in the film or make a donation to The Smith Family at the newly launched website - http://talesoftheoneinten.com/ and follow the campaign on Twitter.